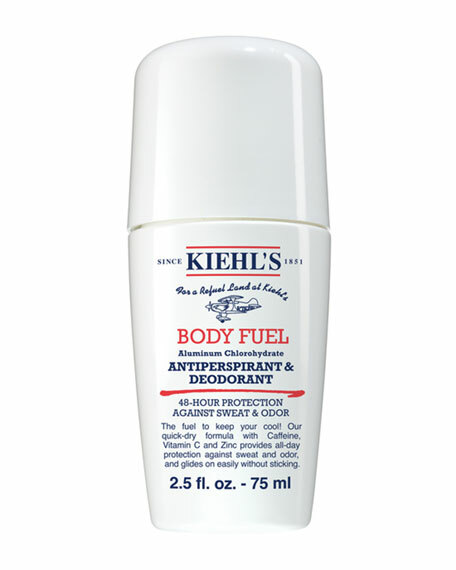 Body Fuel Antiperspirant & Deodorant glides on easily without sticking and dries quickly. With clinically demonstrated 48-hour protection against sweat and odor, this roll-on deodorant helps keep you dry and comfortable throughout the day. Infused with Caffeine, Vitamin C and Zinc, this formula energizes skin with a fresh aroma. *Greater than 30% reduction in axillary perspiration for at least 50% of tested population. Apply onto cleansed underarm area only. Shake before use and roll on evenly.